Duke’s restaurants have always been synonymous with the laid back Hawaiian beachside lifestyle, a laid back, come as you are spot to grab a bite before or after catching a few waves. 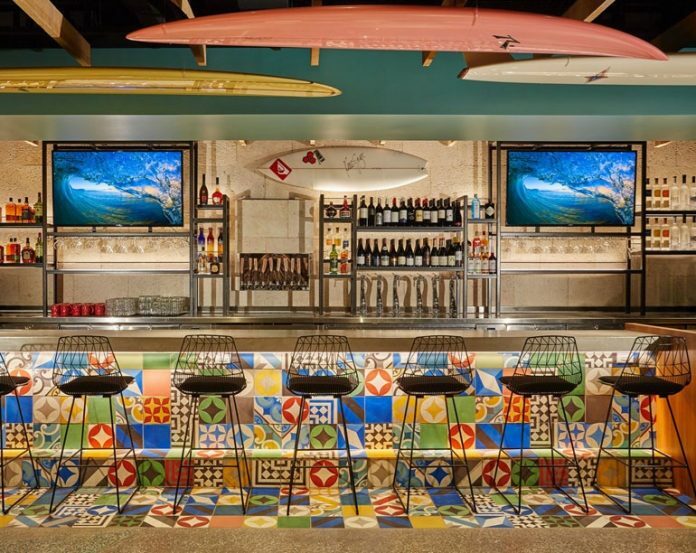 Named after native Hawaiian Duke Kahanamoku, an Olympic swimming and water polo medalist and the father of modern surfing, this incarnation of the restaurant,by Bill Barsons, chairman of restaurant group T S Restaurants, designed by Hatch Design Group, Duke’s La Jolla, maintains the colorful, fun vibe and surfer spirit. 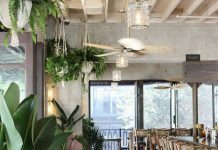 Taking over the iconic cliffside spot overlooking La Jolla Cove formerly occupied by Top of the Cove, it’s a great spot for ocean appreciation of all kinds. 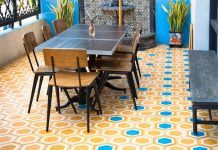 Upstairs, the bar is covered in a colorful patchwork of Granada Tile cement tiles. Included in this colorful design of tile patterns are Fez, Marseille, Pontedera, and Santander. 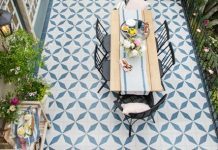 Many of these tiles are available as sample tile in our online cement tile shop so you can mix and match to your heart’s content.